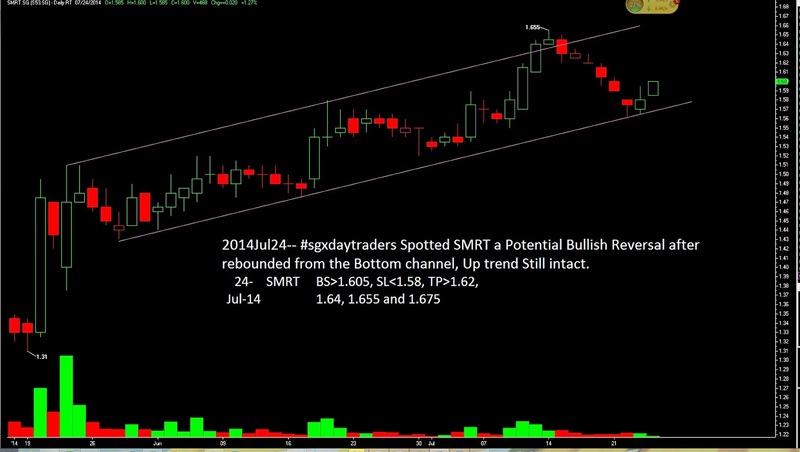 SGX Day Traders: 2014Jul24-- #sgxdaytraders Spotted SMRT a potential Bullish after rebounded from Bottom channel. The Uptrend still intact. so many traders is doing trade only with the help of charts, if they also read Singapore stock recommendations for doing tradethen they make more profit. I daily read your updates about the SGX market, so it seems easy for me to trade by reading your blog posts I feel more confident.